Be prepared for an even more action filled camp with amazing activities! 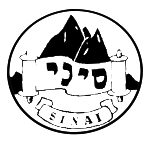 Sinai is an inclusive movement, bringing together young Jewish youths from all walks of life. We were built on a strong, Modern Orthodox ethos and continue to imbue those beliefs within our camps. When signing your child up to Machane you are agreeing to rules and guidelines set out by Rabbi Kimche, as well as the Sinai Va’ad and Mazkirut. If you are unsure as to what is expected of your child whilst on camp please ensure to read the “Info for Parents” tab under the “Residential” menu. We look forward to welcoming you son/daughter!